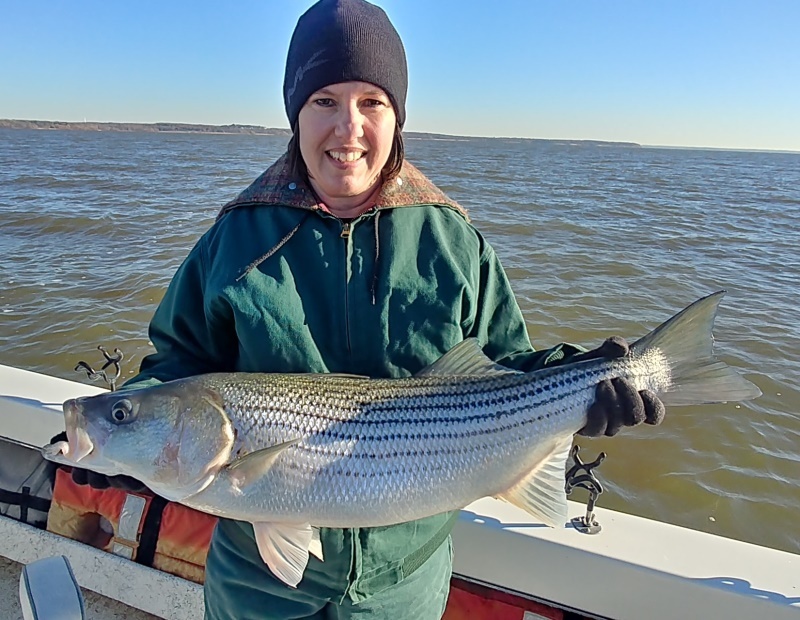 The big fish are on the prowl here on Lake Texoma and winter is the best season to fish if you want an opportunity to catch one of these monster stripers. 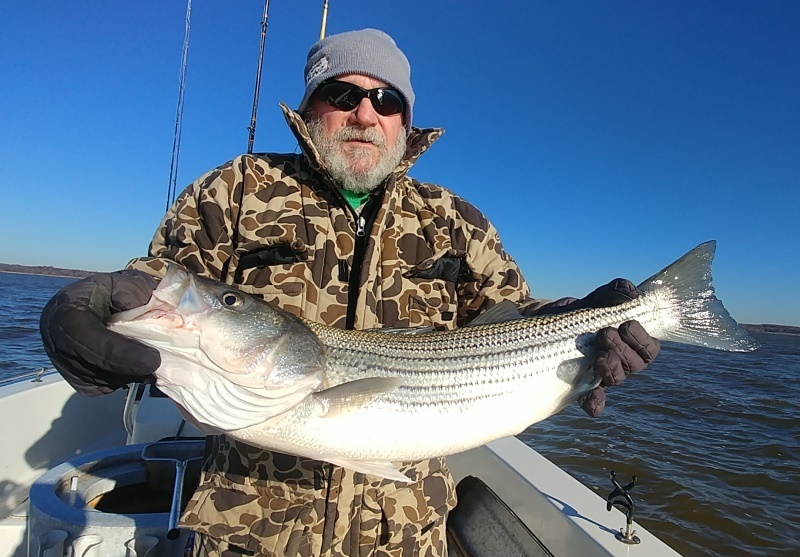 Of course, we catch these big fish year round and we have some amazing summer trips catching big fish but the winter seems to be consistently the best time of year for when you can go out, day after day and land a big fish in the 10 pound plus range. It is peaceful this time of year. It is actually my favorite time to fish, there are fewer boats on the water meaning less pressure on the fish and less competition to get where the fish are which makes for a more relaxing experience. This could also be a contributing factor as to why we catch more big fish this time of year. Right now I'm starting to see a lot more big fish being caught, just yesterday we brought in 5 fish over 10 pounds with the biggest fish weighing around 15 pounds. The birds are working and the the fish are on the move. Drifting live bait is working best for us right now but lures should take center stage in the following weeks. My personal preference for lures is a glow in the dark sassy shad with an 1 ½ oz. head, a lot of guys like to throw the umbrella, or A-rigs to catch them but these are heavy and, at least for me, casting them all day takes some of the fun out of fishing. We always seem to do just as well with our single sassys so I have not yet been convinced to change to something that is less fun to use. 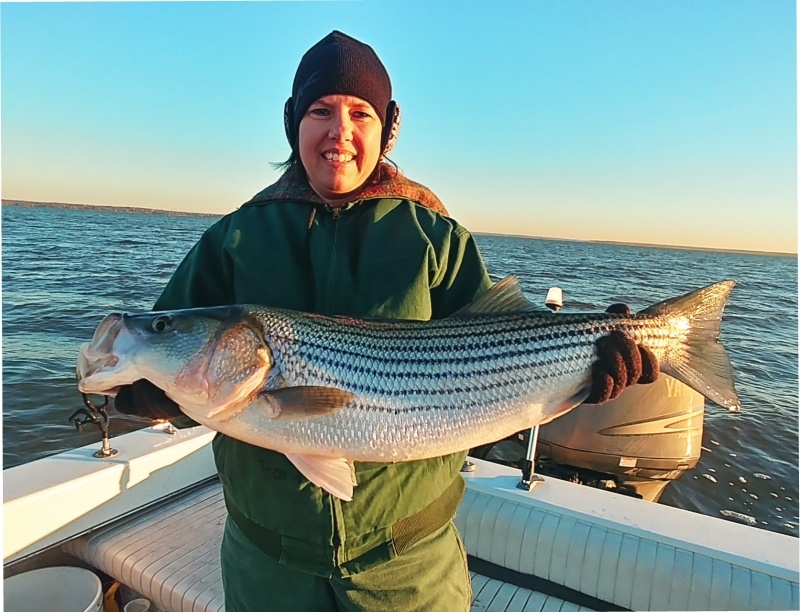 If you want a chance at catching one of these big fish, now is the time to get out on the water. Come out sooner if you want to use live bait as I expect we will switch to lures towards the end of December but that will be up to the fish. Also keep us in mind for the holiday season, we offer gift certificates and a fishing trip makes an excellent stocking stuffer. 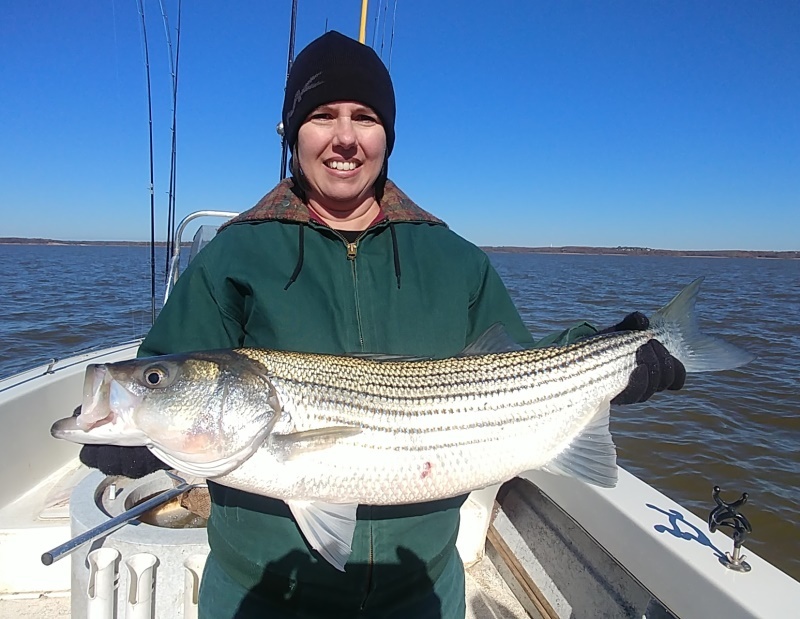 You can book your trip online at www.stripersinc.com or give us a call at (903)815-1609 and I'll get you setup. If you have any questions, don't hesitate to ask.